Lifting Speed Code Letters: S=Standard, C=Common. Trolley Speed Code Letters: S=Standard, L=Low. Nickel-Plated load chain for durability. 60 minute rated motors are fan cooled and completely sealed for performance and longevity. Equipped with "The Guardian" Smart Break Technology, a DC current driven electromagnetic brake does not release unless the motor is energized. Also included is an independent operating mechanical load brake. 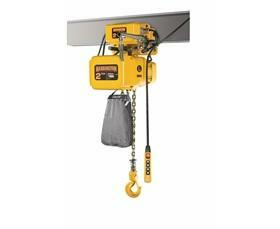 Certified and listed to UL 1340 "Standard for Hoists." Standard electronic "count hour" meter records motor starts and running time, aiding preventative maintenance and trouble-shooting. Nickel plated load chain for durability and corrosive resistance. 40 or 80 FPM trolley speed (specify). Includes electric trolley brake and 30' power cord. 208-230/460/3/60. 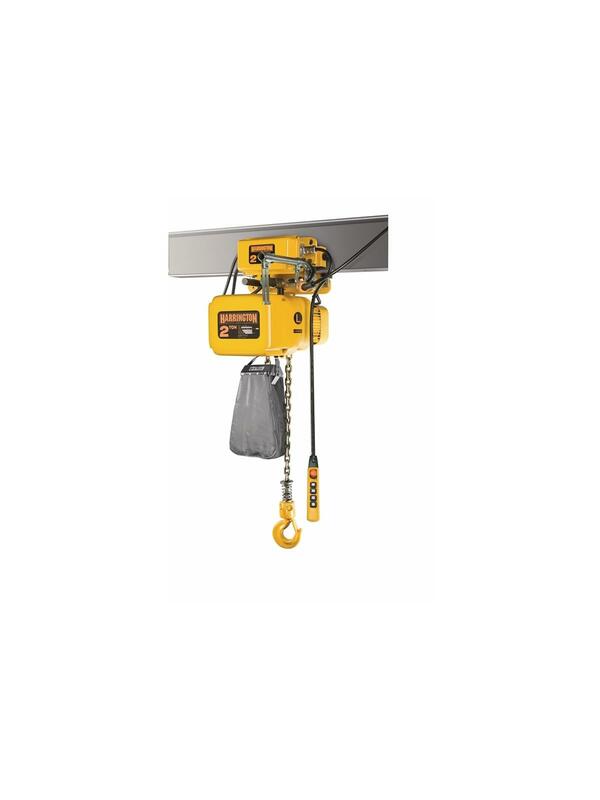 Longer lifts and two-speed via under-the-cover Variable Frequency Drive models available. Call for details and prices on hook mount units and push/pull, or geared trolls units. FOB Shipping Point.